In recent years, in parallel with strengthening political, ideological, economic, cultural, social, and defence-security opposition, hostile forces have taken full advantage of the Internet and social networks to incite and oppose our Party and regime through malicious and sophisticated artifices. Therefore, identifying and foiling those artifices represent a matter of great urgency today. Over the past years, the proliferation of the Internet and social networks has brought about unassailable benefits; gradually played an indispensable role in social life; become a platform of supplying, sharing, exchanging, and exploiting information among people; and penetrated into people’s life across the globe, including Vietnam. With superior rapid connection speed and broad scope and influence, the Internet and social networks have become an integral part of people’s lives, having a direct effect on every individual’s awareness and behaviour, and subsequently on the development of the whole society. Still, they also carry negative implications for our country in general and our Army in particular. Fully aware of that, with their complex and malicious stratagems and artifices, hostile and reactionary forces and political opportunists and foreign extreme anti-Communist forces have recently capitalized on the Internet and social networks to incrementally circulate articles and videos with distorted contents in a bid to grab public attention. Accordingly, they vehemently incite, and oppose our country through distorting and widely disseminating misleading and ambiguous information, leading to confusion, suspicion and distrust of our Party and regime among a segment of netizens. Some of noticeable artifices are as follows. Directly livestreaming to call for the Internet community’s intervention in our internal affairs or negative comments on social networks. Their artifice is to use Livestream-enabled Facebook accounts to directly video their pre-scheduled incidents on social networks in an effort to create a forum for comments on “hot” issues of public interest. Accordingly, with carefully prepared “scripts”, their livestreamed contents primarily involve organizations and individuals’ protests and complaints in public offices and relevant issues to the public’s legitimate benefits and furore such as environmental issues, land clearance, officials’ conduct, etc. 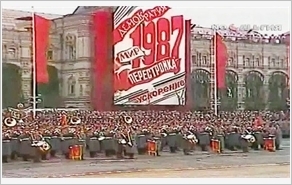 Their livestreaming is timed to coincide with national political events such as national celebrations, holidays and conferences through which they appeal to the international community and reactionary organizations for their intervention in Vietnam’s internal affairs or incorporate individuals’ positions and misleading comments in order to attract netizens’ attention and engage political opportunists and disaffected members’ comments whereby they “paint a picture” of a divided ruling Party and State and a corrupt public security, etc. In addition, hostile forces also employ “information gap” to target public curiosity. Their artifice is to take advantage of the domestic official press through its procedure for editing and screening the reporting. In some cases, for the sake of reporting authenticity, the coverage of certain specific issues may be delayed. Exploiting this “information gap”, they widely circulate distorted articles and news via “sensationalist titles” of public concerns, namely the Party and State’s internal issues and headlines-grabbing graft incidents in the form of unanswered and thought-provoking questions such as “who stands behind “Vu Nhom” and “Ut Troc”; after Dinh La Thang, who will be imprisoned?, etc., in an attempt to direct netizens’ curiosity and attention to reactionary Facebook accounts, Blogs, and online newspapers and sow psychological confusion and suspicion, etc. “Refreshing” old information and making up new information to oppose the Army is an artifice meticulously planned by hostile forces. Their selection of “refreshed” old information and “fabricated” new information” mainly involves video clips and images of relationships between cadres and soldiers and of cadres’ alleged assaults on soldiers and of democracy-related issues in the military, etc. Additionally, they fabricate, distort, and negatively comment on incidents properly handled by competent agencies. They often time the circulation of refreshed and fabricated information before military call-up and training seasons for new recruits and national and military political events, etc. Their scheme is to target psychological anxiety amongst people and adolescents who oppose the military conscription for fear that they may be subjected to military malpractices, thereby causing an outcry in society; inciting adolescents to dodge military service; and creating division within the Army. Subsequently, following the circulation of images and video clips, brilliant image of “Uncle Ho’s soldiers” will be smeared, some cadres and all walks of life’s confidence in the military environment will be eroded, leading to the ultimate goal of “depoliticizing” the Army. To preclude afore-mentioned adverse implications from the Party, State, and Army’s revolutionary cause, it is necessary to take some proper measures as follows. First, strengthening the work of propagation and education and raising awareness of negative information by hostile forces amongst cadres and party members with great emphasis placed on fundamental issues of the Party’s guidelines and ideological and theoretical background, the State’s policies and laws, the Army’s functions and missions; dignity of “Uncle Ho’s soldiers” and military-civilian relationships. Moreover, it is essential to analyse and clarify the true nature of hostile forces’ arguments and artifices in a bid to lessen their detrimental effects on cadres and soldiers’ awareness and ideology, thereby developing “resistance” to hostile forces’ negative information amongst individuals and organizations and equipping them with basic precautionary skills and measures. Second, bringing into play the role of competent agencies in providing accurate information. In the current booming information age, the mastery of information plays a significant role in the Party and State and socio-political organizations’ activities and shaping public opinion in a positive and “proactive” fashion. To this end, central to grassroots propagation and training and media agencies need to promote their central role in cooperating with central to local relevant branches, sectors, and mass organizations in providing timely, accurate and official information and redressing “information gap” so that cadres, soldiers, and people are always updated on the Party and State’s official mainstream information. Third, fostering synergy of every force and organization to combat opposing and negative viewpoints on cyberspace. To this end, it is necessary to formulate and perfect a synchronized legal system of regulations and preferential policies in tune with duties and responsibilities of relevant agencies and party committees and key cadres at all levels while adequately supplying appropriate information and technological facilities and equipment to combat those viewpoints in an efficient manner. Fourth, tightly combining preventive contents, forms, and measures in line with realistic situations for the sake of promoted effectiveness. To this end, it is necessary to closely combine public protest in the press with direct protest on the Internet and social networks; struggle against external transformation with internal stability maintenance; political struggle with the use of technical solutions in order to preclude and deactivate some reactionary websites, blogs, and Facebook accounts, etc., thereby creating a firm protest movement on cyberspace. Every aforementioned task and solution have their different significance and role, but they are closely inter-related. Therefore, in the implementation process, party committees and organizations, commandants, and a contingent of cadres in offices and units need to flexibly apply them to specific conditions, thereby effectively identifying, assessing and opportunely combating and negating opposing and false viewpoints and foiling artifices and stratagems by hostile forces on cyberspace.